Moving to university is one of the most exciting times in anyone’s life, but there’s no denying that it can be pretty stressful too, with so much to organise. For that reason, it’s our priority to make your journey to university as convenient as possible, which is why we offer effortless door to door luggage collection and delivery. With My Baggage, there’s no need to drop your luggage at a collection point, or pick it up from a depot. We’ll collect your excess baggage from your front door and deliver it to exactly where it needs to go – you don’t even have to leave the comfort of your own home! No matter what you’re sending; whether it’s personal effects, study material or sports equipment, it will be collected conveniently from your front door. 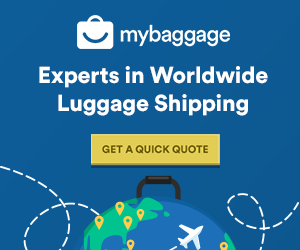 For those sending luggage overseas, My Baggage ships to more than 200 countries worldwide, so regardless of where you are on the planet, you can expect the same excellent door-to-door service as those students who are sending luggage domestically. If you’re living in a student house or a flat, My Baggage can collect and deliver your items straight to your front door. If you’re living in university halls, we’ll collect and deliver your baggage to the reception area or designated postal room (please check with your university halls before booking). Our drivers can’t access individual bedrooms in university halls due to security reasons. 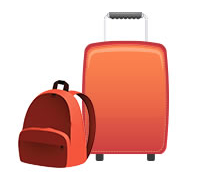 As the My Baggage team are all recent graduates, we know you have enough financial worries, without the cost of luggage shipping adding to that list. For that reason, our door-to-door luggage shipping is affordable for items sent within the UK and to 200+ countries worldwide.